History The first use of Army branch insignia was adopted just prior to the American Civil War in 1858 for use on the black felt hat. A system of branch colors, indicated by piping on uniforms of foot soldiers and lace for mounted troops, was first authorized in the 1851 uniform regulations, with Prussian blue denoting infantry, scarlet for artillery, orange for dragoons, green for mounted rifles, and black for staff. When the U.S. Army began developing a series of colored rank epaulets for wear by officers of various Army branches, the scheme included yellow for cavalry officers, red for artillery officers, and light blue or white for infantry officers. General officers wore dark blue epaulets. 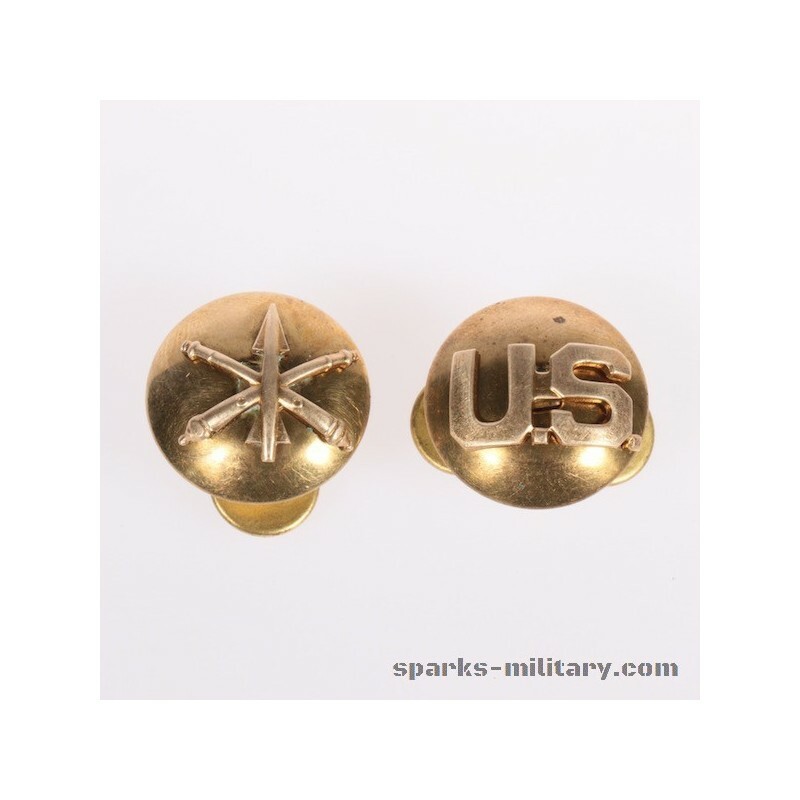 By the start of the 20th century, Army personnel began wearing various branch insignia on the stand-up collars of the Army dress uniform. 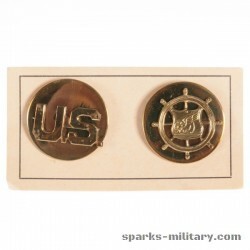 Branch insignia was also worn by officers on the wool uniform shirt when worn as outerwear. 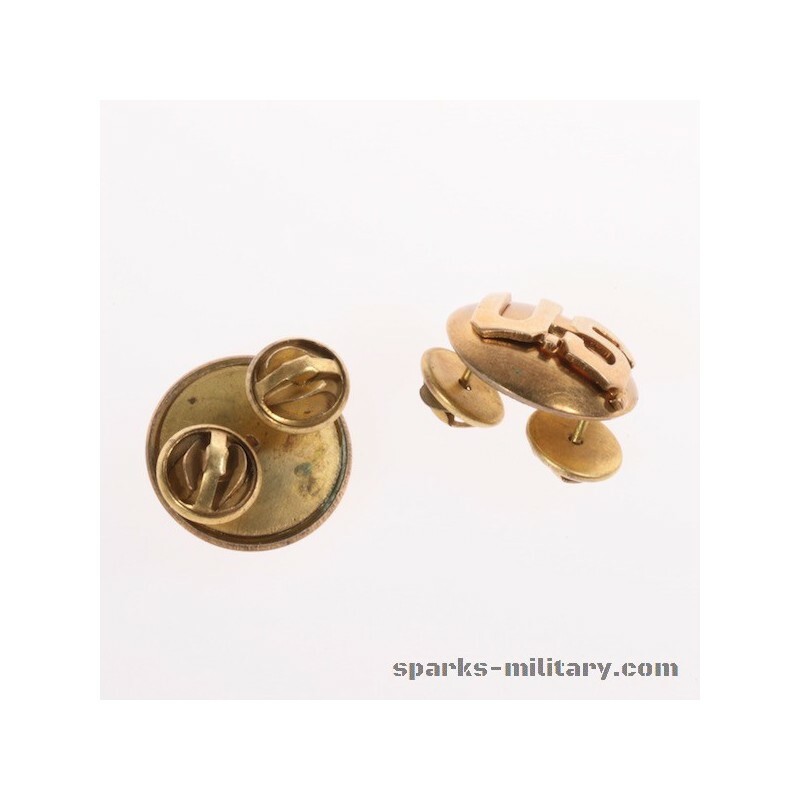 Enlisted soldiers wore a version enclosed in a brass disk while officers wore a full sized version not enclosed. This has continued to the modern age. 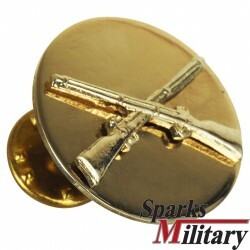 Members of Infantry, Armor (including Cavalry), Special Forces, Aviation, Engineer, Field Artillery and Air Defense Artillery regiments may wear a version of the insignia in which the regimental number is included in the insignia. 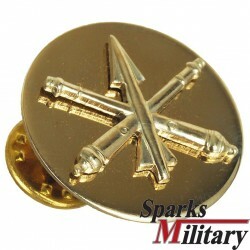 For Air Defense Artillery and Aviation, the number is mounted on the center of the face. 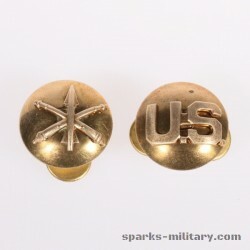 For Infantry, Cavalry, Special Forces and Field Artillery, the number is placed immediately above, but not covering, the intersection of the crossed rifles, sabres, arrows, or cannon, respectively. For Armor, the number is placed immediately above the tank. Branch insignia for Soldiers not affiliated with an infantry, armor, field artillery, air defense artillery, cavalry, special forces, or aviation regiment, generally wear their assigned basic branch insignia; however, as an option, Soldiers who are not affiliated with one of the above regiments, but who are assigned to a color-bearing regiment or separate operational battalion of their branch, may wear their branch insignia with the numerical designation of the battalion or regiment affixed, when approved by the Army Command (ACOM) commander, Army Service Component Command commander, or Army Direct Reporting Unit commander. 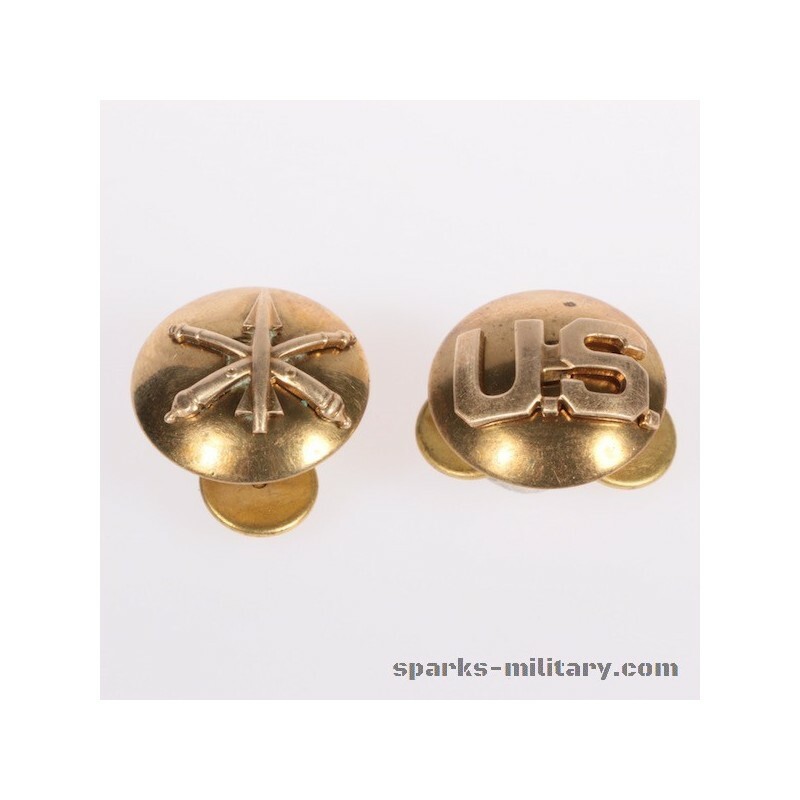 Officers and enlisted personnel assigned to cavalry regiments, cavalry squadrons, or separate cavalry troops are authorized to wear cavalry collar insignia in lieu of the branch insignia, when approved by the ACOM commander. 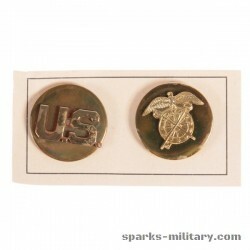 Certain special assignment insignia is worn in place of branch insignia to denote the officer's or NCO's particular responsibility. The enlisted versions of these are borne on a golden disk in the same manner as their customary branch device. Officers so assigned continue to wear their basic branch colors on the epaulets of the blue Army Service Uniform and the Army Blue Mess uniform. Officers and NCOs serving a term in an Inspector General billet wear Inspector General insignia. 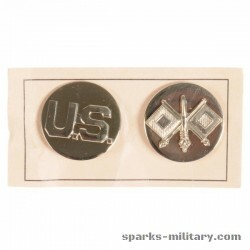 Officers assigned to general staff billets wear General Staff insignia. 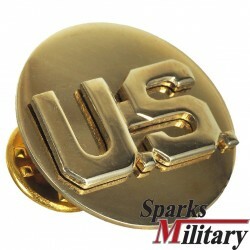 Officers assigned as aides-de-camp wear aide-de-camp insignia which denotes the rank of the officer or official whom they serve. 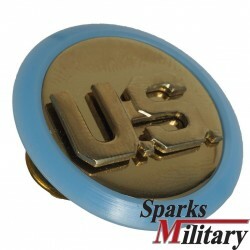 Nominative sergeants major will wear nominative senior enlisted leader collar insignia (previously referred to as command sergeant major insignia or enlisted branch immaterial insignia) worn by command sergeants major and sergeants major when in a position rated by a general officer or senior executive service level civilian. The sergeant major assigned as the Sergeant Major of the Army wears unique insignia based upon that of an aide-de-camp to the Army Chief of Staff. 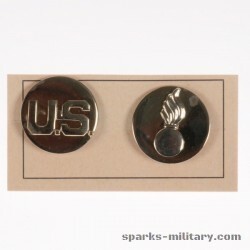 If the Senior Enlisted Advisor to the Chairman is selected from the Army, that sergeant major wears unique insignia based upon that of an aide-de-camp to the Chairman of the Joint Chiefs of Staff. From 1920, warrant officers, being appointed into the Army "at large", wore the warrant officer device rather than branch insignia on their lapels and a larger warrant officer device on the service cap. Likewise, they wore brown as a branch color no matter their basic specialty. In 2004, warrant officers adopted the insignia and colors of the branch corresponding to their specialty and began wearing the officer insignia on the service cap. Aside from Army custom, the Army Chief of Staff, former Chiefs of Staff, and generals of the Army (five-star) may prescribe their branch insignia. 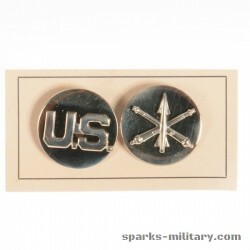 All other general officers may wear branch insignia at their option. 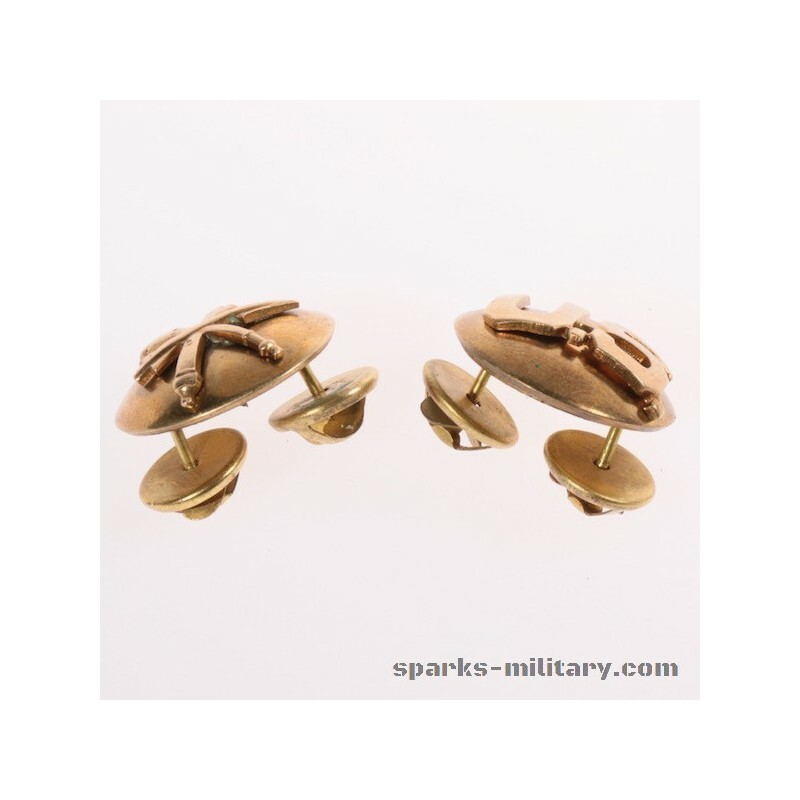 If they choose this option, general officers will wear the branch insignia for the position to which they are appointed, or for their duty assignment. Army custom is that general officers wear no branch insignia, as they deal with echelons far above the basic branch level. Exceptions, however exist, as with the commandants of the various branches retain the respective insignia and Dean of the U.S. Military Academy wears the Professor, USMA insignia.